Offering you a complete choice of products which include phylanthus niruri extract. Main chemical constituents are phyllanthine, hypophyllanthine, alkaloids, quercetin, quercertrin, isoquercitrin, astragalin, amarin, geraniin, corilagin, rutin and 3-O-glucopyranoside. It blocks DNA polymerase, an enzyme required by Hepatitis B virus for growth and replication. It inhibits lipid peroxidation, and scavenges hydroxyl and superoxide in vitro. It show inhibiting properties on both COX-2 and inducible nitric oxide synthase (iNOS). It plays important role in disruption of HbsAg mRNA transcription & post-transcription which is beneficial against viral carcinogenesis. It shows antagonistic effect on calcium channel and blocks voltage dependent Ca currents. It significantly reduces the plasma activities of alanine and aspartate transaminases & total bilirubin concentration. It is diuretic, hypotensive and hypoglcycaemic in nature. It is very useful against chronic and acute Hepatitis B. It is used to cure jaundice, gonorrhea and diabetes. It is used in sores, swelling and itchiness. It is also used in frequent menstruation. It is useful in ophthalmia and chronic dysentery. It promotes liver functions and helpful to cure liver related problems. 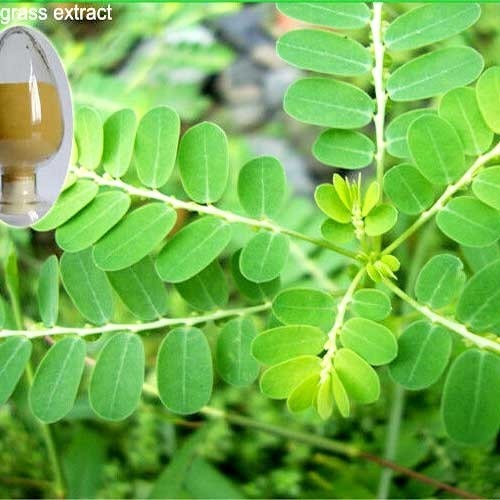 Looking for “Phylanthus Niruri Extracts”?